The MaxRevo 1350W is loaded with features, but is it a worthy successor to the Revolution? 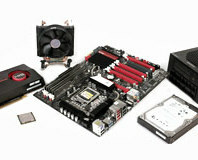 ASRock discloses some details about the new AM3+ socket, as well as the CPUs that will fit in it. 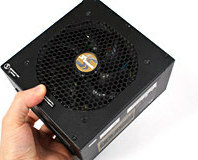 Seasonic's new version of its highly efficient X-Series PSU does away with the fan altogether. How green are green products? We evaluate the benefits, or lack of them, in new "low power" and "energy efficient" hardware to see what makes the biggest difference to the power drawn from your wall socket. 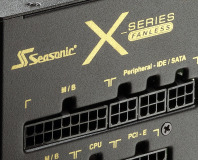 We take a gander behind the technology that powers Seasonic's latest 80Plus Gold, fully modular power supplies: the X-Series. We strip apart what's inside to find the details. 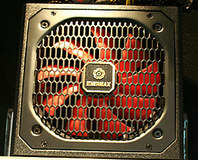 COMPUTEX 09: Enermax is lining up with three 80Plus Gold PSUs at a modest 450-650W. In a talk at GDC, games programmer Mike Abrash claims that Larrabee can be more efficient at rasterisation tasks than traditional GPUs. Interested in expanding your TV, film or media consumption to an all capable home theatre PC? 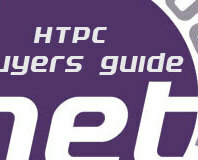 Check out our latest buyer's guide to see what the bit-tech team recommends - from ultra tiny mini-ITX, to gaming HD behemoth! 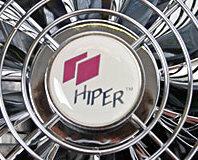 If you like a bit of bling in your case and don't care for extreme wattages, Hipers Type R II with its shiny blue casing, LEDs and metallic fan could be right up your street. We test this feature filled mainstream performer to see if it's cheap for a reason, or just fantastic value for money. This cute little 17cm square motherboard is absolutely jam-packed with features from PCI-Express to HDMI and High-Definition to 65W full AMD CPU support. 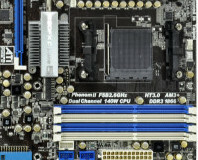 Could this be the ultimate low power, ultra small form factor home theatre motherboard? The Atom platform bounces out of the netbook and onto a mini-ITX motherboard for Gigabyte and we test it to dispel the myths about what Intel's new low power, low cost prodigy can and cannot do. 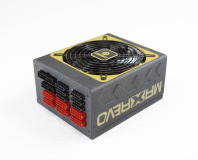 We take a quick look at Enermax's spangly new power supply that will replace the popular Galaxy DXX range later this year. It has an 80Plus Silver award already, as well as a few new features but does it deserve to be called the Revolution? Hot on the heels of Asus' announcement last week, MSI lets bit-tech in on a sneak peek of its new X58 to Eclipse all others. From the looks of things, it's a fresh start in the right direction! AMD to launch 65nm Athlon 64 X2's next month? 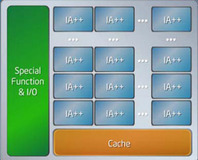 A report in a Chinese newspaper has indicated that AMD will roll out four 65-nanometre CPUs in the first week of December.